Shown is a view of the Parkview/YMCA campus. An agreement spelling out the responsibilities of Parkview Health System and those of the city of Warsaw was signed Friday. Warsaw Board of Public Works and Safety entered into a development agreement between the city and Parkview Health Systems during Friday morning’s meeting. The agreement states Parkview will construct a four-floor building of approximately 86,000 square feet along with landscaping and parking on the property. The construction value is estimated to be approximately $20 million and will house physician offices, rehabilitation, laboratory, imaging and diagnostic services, unfinished basement and emergency services. 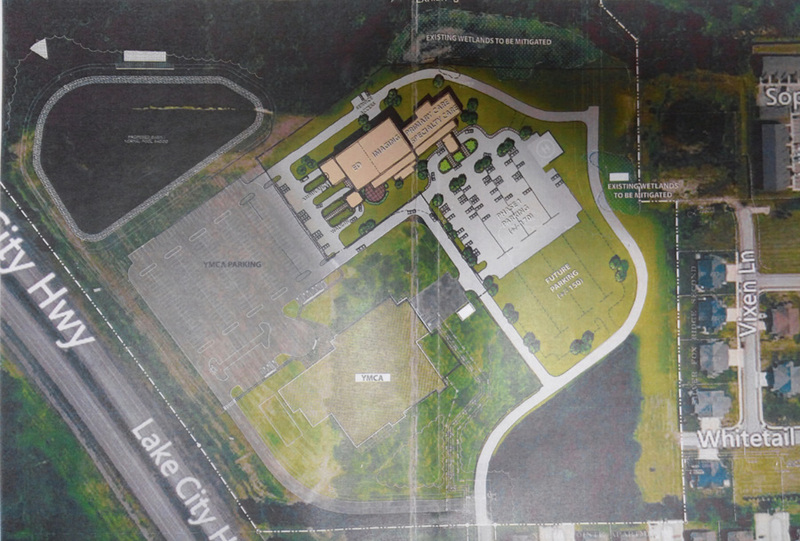 Perhaps the biggest part of the agreement is Parkview agrees to pay the city of Warsaw $600,000 to improve the portion of Mariners Drive from Husky Trail to the Parkview/YMCA campus. The agreement also notes Parkview will participate in funding of any future extension of Mariners Drive north to CR 200N. Improvements to Mariner’s Drive are to be completed no later than Dec. 31, 2015. The agreement states the city commits to continue efforts and participation in analysis by the Indiana Department of Transportation and the Michiana Area Council of Government in review of a new signalized intersection at US 30 in the vicinity of the property, including a traffic impact study. Approved purchasing six chain saws, two telescopic pole saws and two string trimmers from Bobcat of Warsaw at a cost of $4,359.50. Approved moving forward with bid specs and bidding process to replace Rescue Two for Warsaw-Wayne Fire Territory. Funds, approximately $650,000, has been allocated in the budget. Approved a contract of $36,702 with the Warsaw Volunteer Fire Department for fire fighting and emergency services. This is for 18 volunteers. Approved a preventive maintenance agreement with MacAllister Power Systems on generators with the Wastewater Utility Department. The three-year contract totals $32,652. Costs for the first two years is $10,151 each year and $12,350 for the final year. Signed an agreement with Keystone Software Systems, in the amount of $275, for a disaster recovery plan for the Wastewater Collections Office. Approved payment to Monoform LLC., for the repair and rehabilitation of manhole structures at: East Main/North High streets; Main Street; West Main/Lake streets; West Main/Washington streets and another location to be determined. The cost is $24,975. Work will be completed by the end of the year. Accepted the stormwater utility and wastewater treatment utility budget guidelines. The total stormwater budget is $518,000 and the wastewater budget is $7,156,839.24. Accepted the contract with Christopher Burke for a drainage study on the south side of Warsaw, primarily south of the railroad tracks at Ranch Road and north of CR 200S. The cost is $69,000. Accepted a training agreement for bloodborne pathogen, not to exceed $1,000 and weekly testing from Cottage Watchman Security Systems at an additional cost of $24 a year.